The conventional standard design of this industry display uses resistive touch technology, which allows easy operation with protective gloves or items such as non-digitizer touch pens for device control. Alternatively, the S17L500-IPM1 is also available with Acoustic Surface Wave (AOW) or Surface Accoustic Wave (SAW) detection, which allows the use of a hardened and scratch-resistant special glass as a protective layer. This variant is preferred for applications in public areas, because of its resistance against breakage, massive use and vandalism, such as ATMs, terminals or kiosk PC. 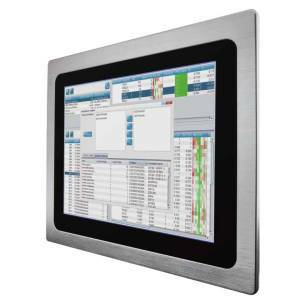 As an interface between the touch interface and a computer or embedded device, the 17 "industrial display supports either USB or RS232. As graphics interfaces there are three different options available, the default configuration is VGA DB-15 and HDMI Type-A. In addition, option 1 provides one more graphics input in DVI-D, while option 2 uses interfaces VGA DB-15, DVI-D, as well as S-video and composite. 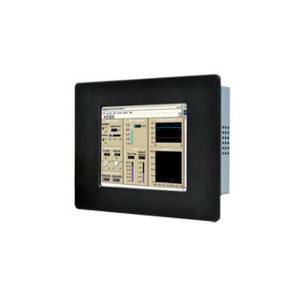 The industry monitor provides a clear OSD control menu with four function keys. 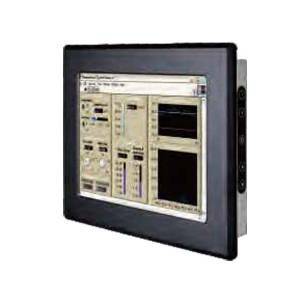 As usual for embedded panel PC for harsh environments, the S17L500-IPM1 is dust-proof on its front panel according to international protection level IP65 and can withstand water jets from different angles for cleaning.